Healdsburg bed and breakfast travel guide for romantic, historic and adventure b&b's. Browse through the iLoveInns.com database of Healdsburg, California bed and breakfasts and country inns to find detailed listings that include room rates, special deals and area activities. You can click on the 'check rates and availability' button to contact the innkeeper. Sonoma County’s world-class wineries, artists, cultural activities, and outdoor adventures. The inn is within blocks of the Healdsburg Town Square where you will find one-of-a-kind boutiques, restaurants, and galleries.Whether you’re visiting the Bella Luna Inn to get away from it all or you’ve rented the entire inn for your friends, family or a business retreat, we’ll do all we can to ensure that your stay is ideal. Come experience our welcoming inn, true hospitality, and personalized service. Then, at day’s end, relax in the enchanting backyard as you take in the glow from the beautiful moon (Bella Luna) rising in the evening sky. By Bella Luna Inn. Located in Sonoma County, California is the city of Healdsburg. Healdsburg is also one of Northern California's wine capitals and three of the most important wine producing areas in the state converge at Healdsburg - the Russian River, Dry Creek, and Alexander Valley AVAs. 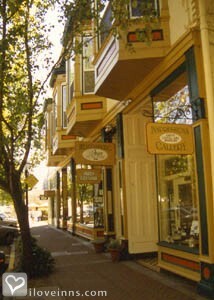 Healdsburg is made more special by its small town uniqueness merging with its city features. It has world class shopping centers, world famous arts and sculpture, its famous wine and cheeses, the very relaxing Healdsburg bed and breakfast inns, its quaint and independent bookshops, and hundreds of antique stores. Healdsburg is also a cornucopia of other outdoor activities such as hot air balloons, biking, canoeing, hiking, and row boating. Spend a relaxing afternoon at the many spas or enjoy the wine tasting offers, listen to the weekly bands playing in the town square during summer and the one of a kind romantic experience that only Healdsburg can provide. By Camellia Inn.